No one in EU seems to have an answer for G2’s funneling. G2 Esports have been thwarted at every turn by Fnatic so far this year—until now. 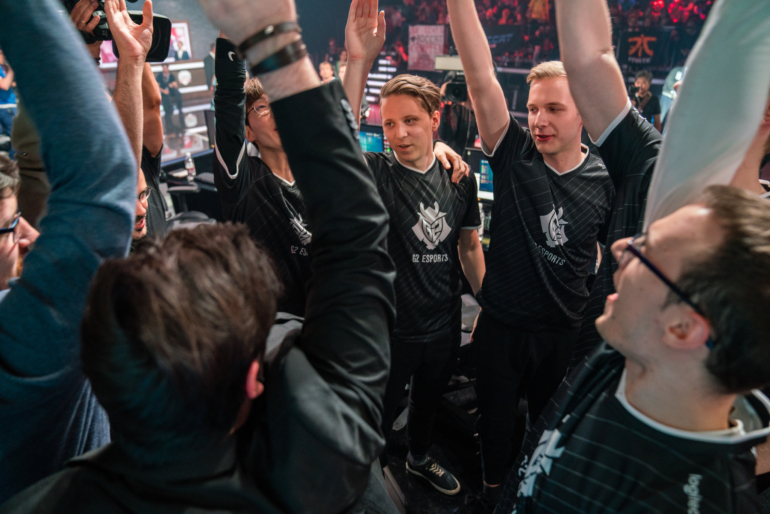 For the first time in 2018, G2 beat Fnatic, and they did it during their first showdown since the EU LCS Spring Split finals in April. G2 have been all-in on the gold funneling strategy, something that’s new to this split. Using that strategy, a team focuses all gold on the mid lane, and the team has to focus on dumping farm from multiple lanes, jungle camps, and kills into that player so they can carry. Some other teams have tried it this year, but none of them have done it as well as G2. And though their strategy seems a little more one-sided than the other teams at the top, no one has been able to stop them so far. Although teams like Misfits and Fnatic have made a good case for non-gold funneling being the way to go, props have to be given specifically to G2 for how they’ve pulled it off. Unlike any gold funneling strategy on other EU LCS teams or even in the NA LCS, none of those other teams have played it as aggressively and proactively as G2. Despite this being a late game strategy devised to get one carry ahead of all the rest so they can deal late-game damage early, G2 plays it almost like an early game strategy. They press leads and almost always go for side lane champions that can easily set up for ganks, and then mid laner Luka “Perkz” Perković roams down for ganks, cleans up the lane, and adds the kills to his massive pot of gold. Unless a team can trip him up on those super aggro plays, he’ll eventually get ahead no matter what. G2 heads to Rift Rivals next week, but first, they’ll play against Unicorns of Love tomorrow for a chance at a perfect 6-0 record.